Compared to the initial expectation human beings are gene-poor organisms. Many genes and pathways are likely to play a role in more than one disease, and numerous examples of gene pleiotropy and protein multi-functionality presumably await discovery. This situation contributes to the recent interest in clinical healthcare sector data and their accounts of fine-grained multi-morbidities. Patient record data remain a rather unexplored, but potentially rich data source for discovering correlations between diseases, drugs and genetic information in individual patients. A fundamental question in establishing biomarker-phenotype relationships is the basic definition of phenotypic categories. As an alternative to the conventional case-control, single disease model the talk will describe attempts to create phenotyoic categories and patient stratification based on longitudinal data covering long periods of time. We carry out temporal analysis of clinical data in a more life-course oriented fashion. We use data covering 6-7 million patients from Denmark collected over a 20 year period and use them to “condense” millions of individual trajectories into a smaller set of recurrent ones. This set of trajectories can be interpreted as re-defined phenotypes representing a temporal diseaseome as opposed to a static one computed from non-directional comorbidities only. A special case is represented by disease co-occurrences which are treatment provoked, e.g. adverse drug reactions. An important issue is to resolve whether specific adverse drug reactions relate to variation in the individual genome of a patient, to drug/environment cocktail effects, or both. From patient records ADR profiles of approved drugs can be constructed using drug-ADR networks, or alternatively patients can be stratified from their ADR profiles and compared. This type of work can potentially gain importance in projects involving population-wide genome sequencing in the future. Søren Brunak, Ph.D., is professor of Disease Systems Biology at the University of Copenhagen and professor of Bioinformatics at the Technical University of Denmark. He is Research Director at the Novo Nordisk Foundation Center for Protein Research at the University of Copenhagen Medical School. 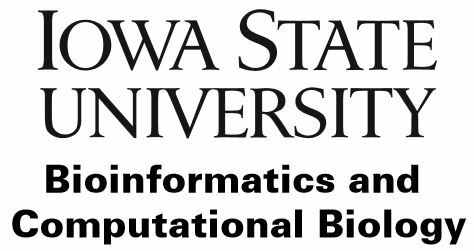 He leads a research effort where molecular level systems biology data are combined with the analysis of phenotypic data from the healthcare sector, such as electronic patient records, registry information and biobank questionnaires. A major aim is to understand the network basis for comorbidities and discriminate between treatment related disease correlations and other comorbidities, thereby stratifying patients not only from their genotype, but also phenotypically based on the clinical descriptions in their medical records. Prof. Brunak started work within bioinformatics in the mid-1980ies, and was in 1993 the founding Director of the Center for Biological Sequence Analysis at DTU, which was formed as a multi-disciplinary research group of molecular biologists, biochemists, medical doctors, physicists, and computer scientists. The center offers a wide range of services at its web site, www.cbs.dtu.dk, including bioinformatics tools developed over the past 25 years.